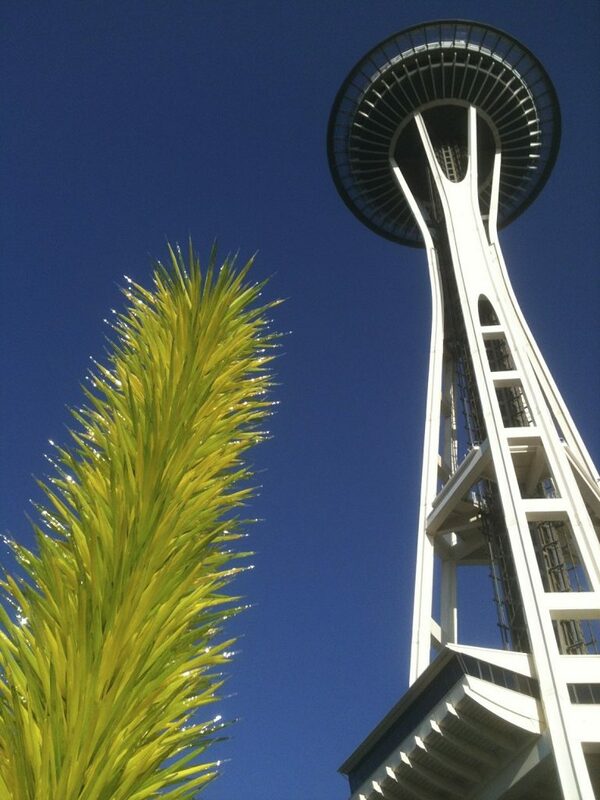 Welcome to This Week in Cascadia April: 16th – 21st! April 16, 1939 – A massive brush fire burns more than 35 square miles in King County, on and east of the Sammamish Plateau in Washington. There are no casualties and property damage is relatively minimal, given the low population of the area and valiant efforts by firefighters to protect structures that are threatened. However, the two-day burn is one of the largest brush fires (if not the largest) to strike King County during the 1930s. April 17, 1933 – Less than two days after reopening, Seattle’s newly renovated Roxy Theater, a motion picture house at the corner of 7th Avenue and Olive (later known as the Music Hall), is the target of an attempted bombing. A small explosive was thrown at the Roxy from the rooftop of the Terminal Apartment Building located adjacent to the theater in the early morning hours. Rather than finding its target, the bomb struck something along the way, and fell instead onto a lower section of the Terminal. Residents were jolted out of bed when a gaping hole was blown in the building’s rooftop. No one was injured in the blast, though the rooms of several tenants, including a number of families with small children, were strewn with debris, and a few were no longer habitable. Although the culprits are never apprehended, early speculation put organized labor behind the blast, which resulted in property damage to an adjacent building. April 18, 1976 – Edison Chiloquin, a member of the Klamath Tribes, starts a fire and begins his fight against the bank and the U.S. Government. In 1954 the U.S. Congress passed the Klamath Termination Act, which stated that after reaping the benefits from the bargain from the treaties with the First nations, the federal government did not need to uphold its side of the bargain. All federal services to the tribe were canceled in 1961, and the tribe lost a million acres of pine forest and their claim to the Klamath River headwaters. The majority of the members of the tribe received payouts from the federal government for their shares of the land. But nearly a quarter of them, including Edison Chiloquin, refused payment. At the site of his grandfather’s village on the banks of the Sprague River, Chiloquin lit a Sacred Fire which burned for over a five and a half years, until in January 1980, U.S. President Jimmy Carter signed the Chiloquin Act, which gave Edison Chiloquin and his descendants title to 580 acres for what is known as Pla-ik-ni Village. April 20, 1825 – Scottish naturalist David Douglas arrives at Fort Vancouver, the Hudson’s Bay Company’s new Columbia River headquarters. For the next two years, Douglas will use Fort Vancouver as a base for botanical explorations through much of present-day Washington and Oregon, where he will collect thousands of specimens of plants ranging from tiny, rare mosses and herbs to the giant and abundant tree that now bears his name, the Douglas fir (Pseudotsuga menzeisii). Many of his specimens, sent by ship from the Columbia, had already reached Britan and were met with great acclaim. As a result of Douglas’s collections, salal, red flowering currant, Oregon grape, and other Northwest plants soon populated gardens in England and eventually throughout the world. Douglas fir trees planted from seeds he collected still stand in England and Scotland. “Doug fir” and other trees Douglas introduced (which include the ponderosa, western white and other pines, several true firs, and the Sitka spruce) have become commercially important not only in their native habitat but in Great Britain and many other countries. 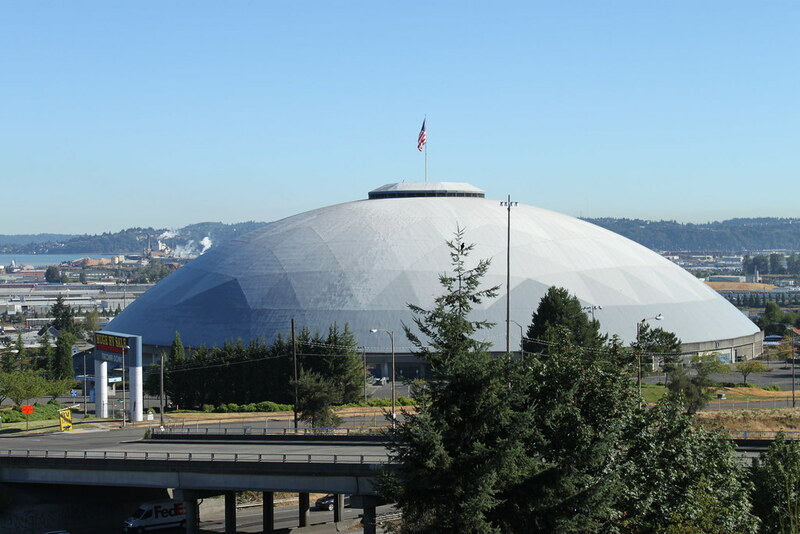 April 21, 1983 – The Tacoma Dome opens its doors as one of the largest wood domed structures in the world. It is owned and operated by the City of Tacoma’s Public Assembly Facilities Department and can accommodate up to 23,000 seats in a variety of configurations. Construction of the 152-foot-high dome involved 1.6 million board feet of lumber (all supplied by the Weyerhaeuser company), and enough concrete to build a sidewalk 70 miles long. The Tacoma Dome as seen while passing south on the I5 freeway. Cost of construction was $44 million. The Dome used the Varax system developed by Hollis Scott and Marshall Turner of Western Wood Structures of Beaverton, Oregon. The system makes a framework out of 288 triangular units of timber laminated and glued together, called glulams, each weighing 5,000 pounds. The glulams, made from old growth Douglas fir from Oregon, are connected by steel hubs and held together at the base by a concrete tension ring. For upcoming ticketing and events info at the fifth largest indoor arena in the U.S., click here. Previous ArticleDoug Flying Friday – A baby Doug.